The cathedral city of Ripon lies on the confluence of two tributaries of the River Ure, the Laver and Skell. It is located 11 miles (18 km) to the south-west of the town of Thirsk and 12 miles (19 km) to the north of Harrogate. 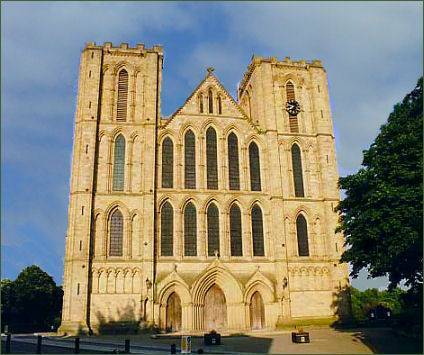 With a history which stretches back over 1,300 years, the city is particularly famous for Ripon Cathedral which is architecturally significant, the city boasts many historic buildings, museums and monuments including a traditional market square and 300-year-old, 90 feet high, obelisk. There is also the Ripon Racecourse and other features such as its popular market. The market square is surrounded by medieval streets, with interesting shops and tearooms, and both Georgian and medieval buildings. The latter include the Town Hall, which was completed in 1801 and the fourteenth century half-timbered Wakeman's House, a Grade listed building, it now serves as a cafe selling teas, coffees, hot chocolates and only home made food. 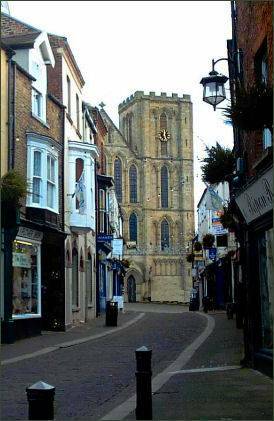 Ripon, the smallest city in Yorkshire and the third smallest in England, was originally known as Inhrypum and was founded by the Anglo-Saxon Saint Wilfrid at the time of the Anglian kingdom of Northumbria. It fell under the control of the Vikings for a period, and later suffered under William the Conqueror's Harrying of the North in response to Anglo-Saxon rebellion, which resulted in the death of approximately one-third of the population of the North of England. The city was to grow into a prominent centre of the Yorkshire wool and cloth industry. Ripon Cathedral is the main religious building in the city and contains a tomb purported to contain the bones of Saint Wilfrid who founded a monastery here. The first building was an Anglo-Saxon timber church founded by monks from Melrose Abbey in Scotland. This structure was replaced in stone by a church dedicated to St Peter by St. Wilfrid in 672, who brought stonemasons, plasterers and glaziers over from France and Italy to work on the building. St. Wilfrid was one of the most influential and controversial figures in the early English church in the seventh century. He was born into an aristocratic Northumbrian family in 634, and joined the monastery of Lindisfarne in his teens, before making the first of his three jorneys to Rome. The tradition of the Ripon Hornblower has endured for centuries and is still practiced to the present day. It originates with the wakeman of Ripon, whose job in the Middle Ages was similar of that to a mayor although he had more responsibilities in the keeping of law and order. 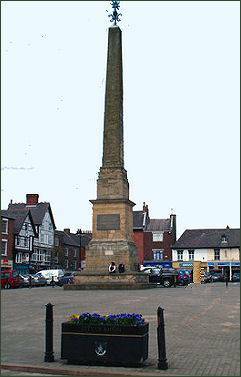 Every day at 9:00pm the horn is blown at the four corners of the obelisk in Ripon Market. The old city of Ripon is filled with shops, cafes, restaurants, and pubs, and also boasts many historical buildings and museums. There are three museums in Ripon, the Courthouse, the Prison and Police and the Workhouse (pictured right) Museums. The large market square fills with stalls every Thursday. Daniel Defoe once described Ripon Market Square as 'the finest and most beautiful square that is to be seen of its kind in England'. The Obelisk in the market square (pictured left) is an easily recognisable landmark. It was built in 1703 to replace an earlier Market Cross, and half of the cost to erect it was borne personally by the then Mayor of Ripon, John Aislabie. The Ripon Horn and a star surmount the stone designed by Nicholas Hawksmoor. Once a year, Ripon holds a procession to commemorate the 7th Century founder of Ripon Cathedral, Saint Wilfrid. Each year, a procession of themed floats, morris dancers, classic cars and even St Wilfrid himself travel through the streets of the city. Only 3 miles away is the World Heritage site of Fountains Abbey and the adjoining Studley Royal Water Garden. Newby Hall, a stately home and attractive gardens is about 4 miles away and has excellent tourist facilities. Ripley Castle, owned by the Ingilby family for 675 years, is also open to visitors.